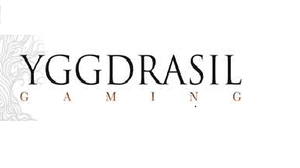 With an already impressive collection of slot and lottery games in their portfolio, Yggdrasil Gaming brings fun slots to space, the final frontier. Their most recent addition to the world of online gaming, named Fruitoids, takes users of both the desktop and all touch based mobile devices through new, unknown galaxies across the vast expanse of space. The stylized graphics and sound help put the player on strange, alien worlds where the flora and fauna are as foreign as one could imagine. This five reel and 25 pay line slot machine offers players well animated and interesting graphics as well as an amazing sound experience. The fast paced gameplay will definitely appeal more to the experienced user who plays often and can catch the hang of a game quite quickly. "Fruitoids is the latest in a long line of high energy, innovative slot games from Yggdrasil and we have a queue of operators ready to take this across desktop and mobile," says Fredrik Elmqvist, Yggdrasil Gaming's chief executive. Taking the extra step for their loyal and future player base, Yggdrasil brought in sound artists to sculpt and prepare a well known Polka style from Finland, twisting it to fit a science fiction theme but keeping the old world charm. Even the logo font has both a futuristic and retro feel to it as it is an artistic take on the Apple Computer logo from the 1970s. A new game isn't as exciting without shiny features to excite the player and Fruitoid doesn't disappoint. One of these is the option to respin, essentially a free spin from a regular spin. Also, there are sticky symbols that stay on the reels in their assigned spots after a winning spin, allowing for the column multiplier to kick in. This multiplier rewards the player quite well once a column has been completely filled with the same symbol. With eleven languages and 17 forms of currency currently available for Fruitoid on all platforms, there's no reason that players should give themselves a spin off into the great expanse of space.